Dive in and open up an ocean of possibilities! Take a journey under the sea to a new magical Happy Place! The Mermaid Reef Retreat is the place to be under the sea! With 2 levels on fun, there is so much to do! Swim, play and slip 'n' slide the Lil' Mermaids into the Jacuzzi for a relaxing bath! 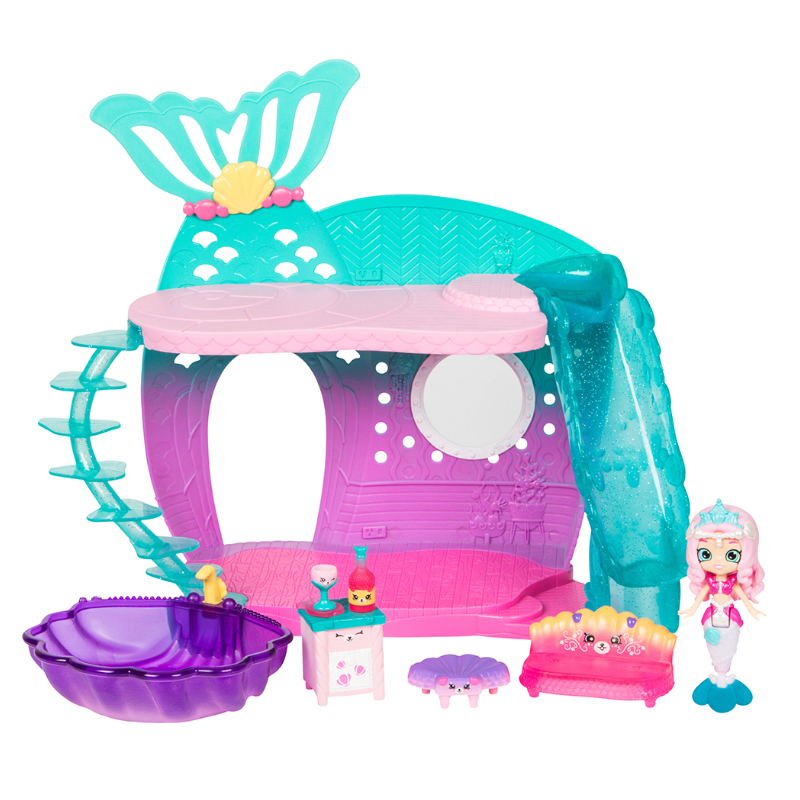 The Reef Retreat playset contains a lovely shell lounge to relax on! Place the cute Petkin cupboard next to it and set the coffee table so it's ready for the Mermaids to have a delicious drink! Also included with the Reef Retreat is Pearlina Mermaid. Her magical tail changes color when you dip her in water! This 2 sided retreat is ready to be decorated your own way! There's a Surprise Me Pack to suit each room of the Reef Retreat! Invite all your other Lil' Mermaid friends over to the Reef Retreat to share in the fun and make it an even happier place!